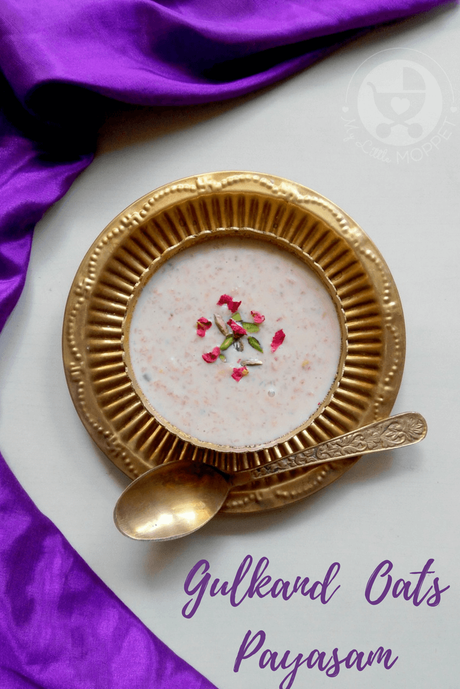 If you’ve ever had a traditional meal in South India, perhaps for a festival or wedding, you may have noticed that it ends with a dessert called payasam. 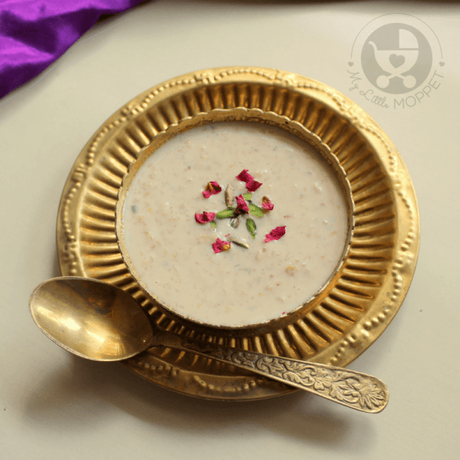 It can be compared to kheer that is popular in North India, but payasam is usually a little more fluid. There are all kinds of payasam, though the very basic versions are made from rice or vermicelli. It can also be made from lentils or whatever fruit is in season. 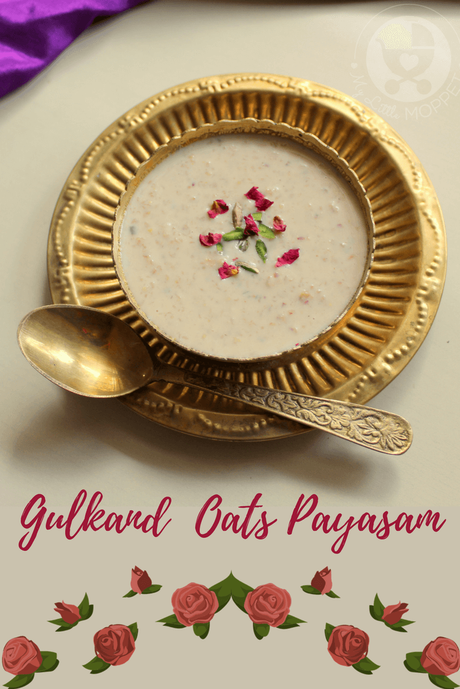 However, we’re moving slightly away from tradition in today’s Gulkand Oats Payasam recipe, by using rose petal jam, aka gulkand. The result is a yummy payasam perfect for summer! 1. 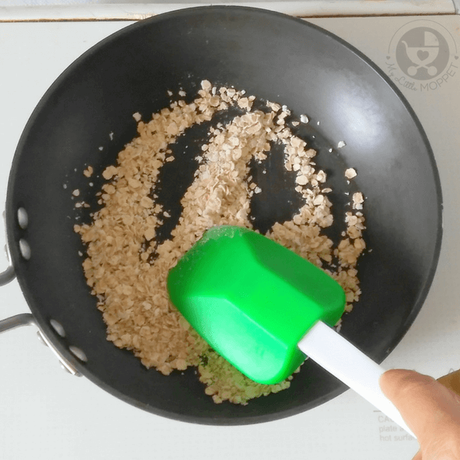 Dry roast the oats on a low flame in a wok. 2. 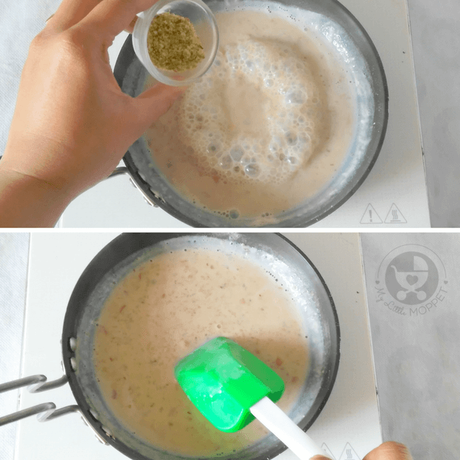 Add milk to it slowly while continuosly stirring to avoid lumps. 3. 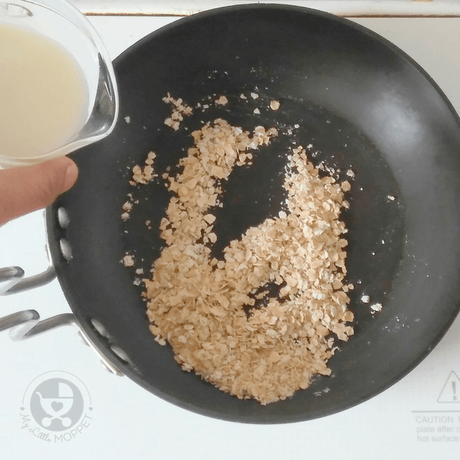 Allow the oats to cook in the milk on a low flame until it becomes very soft and gives the mix a creamy texture. 4. Add gulkand and mix well. 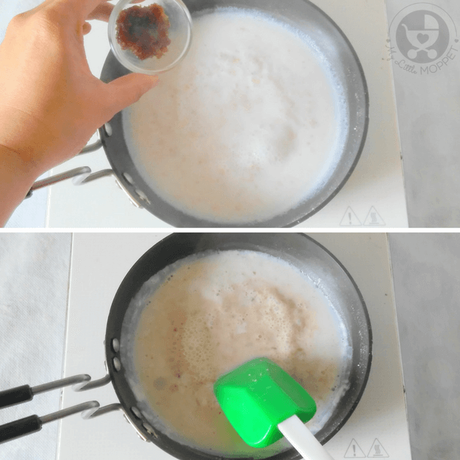 Keep cooking until the jam blends very well with the payasam and keep stirring the payasam as it tends to catch the bottom very fast. 5. Lastly flavor it with dry fruits powder and put off the flame. 6. Serve the paysam to your little one warm or chilled . Gulkand is popular in Ayurveda and is known to pacify the excess heat-causing ‘pitta’ in the body, thus keeping the body cool. It also adds a lovely flavor and aroma to the payasam. The added dry fruit powder makes the payasam rich and also adds a nutty flavor which compliments the creamy oats payasam very well. With few ingredients and simple steps, this is a great way to nourish your little ones this summer! Dry roast the oats on low flame in a wok. 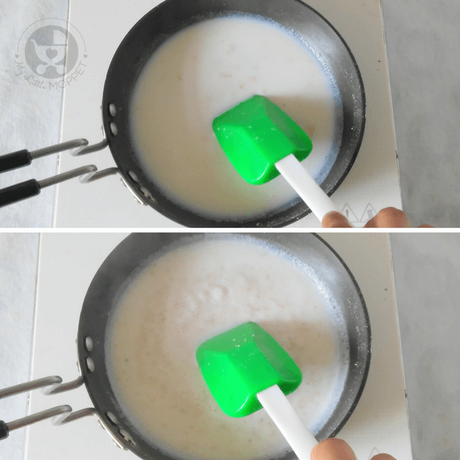 Add milk to it slowly while continuosly stirring to avoid lumps. 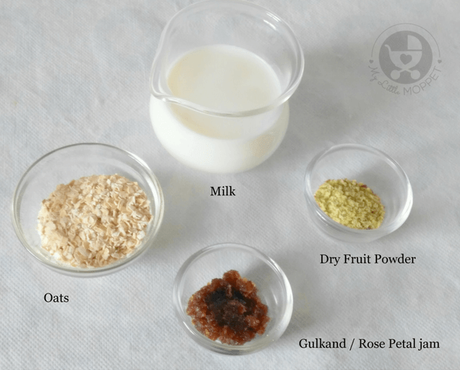 Allow the oats to cook in milk on low flame until it becomes very soft and gives the mix a creamy texture. Add gulkand and mix well. Keep cooking until the jam blends very well with the payasam. Keep stirring the payasam as it tends to catch the bottom very fast. Lastly flavor it with dry fruit powder and put off the flame. Serve the paysam to your little one warm or chilled .